The Kidney Transplant Waiting List is getting longer and longer as more Chronic Kidney Disease patients seek an alternative to Dialysis. The last rule change to the Kidney Transplant List was December 2014 with several controversial changes that appear to ultimately have lead to patients over the age of 50-years-old to have a longer wait-time on average than younger patients. The rule changes also seem to have made it harder for patients over the age of 70 to list at many Kidney Transplant Centers. However, the hope is the new CMS (Centers for Medicare & Medicaid Services) Kidney Transplant Waiting List Quality Measure requirement will serve as a benefit for all patients awaiting a Kidney Transplant. The Kidney Transplant Waiting List is getting longer and longer as more Chronic Kidney Disease patients seek an alternative to Dialysis. The last rule change to the Kidney Transplant List was December 2014 with several controversial changes that appear to ultimately have led to patients over the age of 50-years-old to have a longer wait-time on average than younger patients. The rule changes also seem to have made it harder for patients over the age of 70 to list at many Kidney Transplant Centers. However, the hope is the new CMS (Centers for Medicare & Medicaid Services) Kidney Transplant Waiting List Quality Measure requirement will serve as a benefit for all patients awaiting a Kidney Transplant. Now CMS will start tracking the percent of Dialysis patients who are placed on the Kidney Transplant Waiting List. “The measure is a directly standardized percentage, in that each facility’s percentage of kidney transplant patients on the kidney transplant waitlist is based on the number of patients one would expect to be wait-listed for a facility with patients of similar age and comorbidities,” CMS wrote in the final rule. This is positive for Chronic Kidney Disease patients conducting Dialysis because now their Dialysis Centers have an incentive to help patients get listed on a Kidney Transplant Waiting List which has been a challenge in the past. While Dialysis Facilities often do their best for patients - there are facilities that have their challenges - it has been noted that it is not in their best interest to have patients listed for a Kidney Transplant. That may be one of the reasons that more patients do not show interest or are never referred to the Kidney Transplant List. 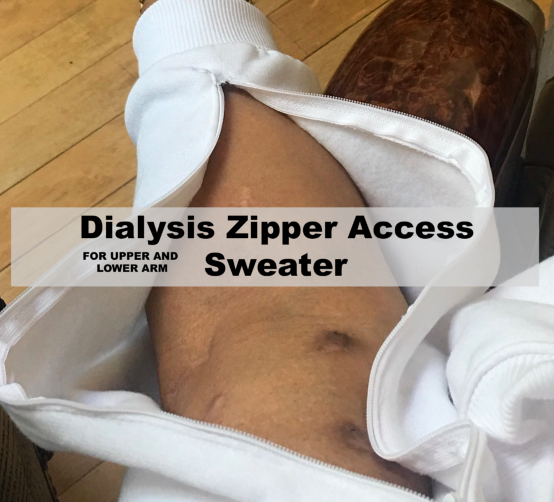 Dialysis facilities in the United States are required to educate patients about all treatment options, including Kidney Transplantation due to the fact that patients typically require a referral for Kidney Transplant evaluation from a Dialysis Facility. Yet, overall a limited proportion of Dialysis patients were referred for Kidney Transplant evaluation and even fewer accepted to be listed. This is why the new quality measure which is tied to funding proves positive for Chronic Kidney Disease patients conducting Dialysis because now their Dialysis Centers have an incentive to refer and help patients get listed on a Kidney Transplant Waiting List to get off of Dialysis. What does this mean for you as a Dialysis patient? If you are not listed on the Kidney Transplant List or have been rejected, then you may be in a better position with this new measure to get listed. If you are currently on the Kidney Transplant Waiting List, then you should expect even more patients to begin listing. Since the December 2014 Rule Change now lists patients based upon when they started Dialysis and not when they were listed, this could greatly impact wait-time for many currently awaiting a call. Make sure that you are outreaching offline (click here) and that you join the KidneyBuzz.com Find A Kidney Donor Program for online outreach help (click here). What are your thoughts about the new CMS Kidney Transplant Waiting List Quality Measure? Do you think it will help or hurt your chances of getting a Kidney Transplant sooner? Share your thoughts and insights with the over 80,000 Friends who have liked KidneyBuzz.com on Facebook (click here). Also, follow the over 250,000+ monthly viewers who visit KidneyBuzz.com regularly for the latest daily news and information which teach those with Chronic Kidney Disease, Dialysis, Kidney Transplant, Diabetes, and Hypertension how to better manage and improve their lives. Erica Ashley Jenkins (Dialysis Nurse) said, "Hello I just wanted to let you know I work in a dialysis clinic and over half of our clinic reads this page, we enjoy everything you put on and love to have new information. My patients are very grateful."